Without a doubt, Diplo is one of the most influential names in modern music. He has been dominating the scene as a music, record, and film producer, film score composer, entrepreneur, and overall successful businessman. This man is the ultimate package deal, and we’re enthusiastic to welcome him back to the valley for this year’s Wet Electric. 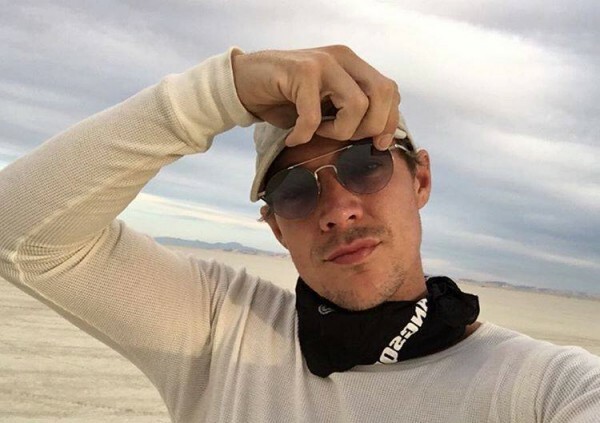 Before his career within the music and film industry kicked off, Diplo taught behaviorally disordered children in an after-school program located in central Philadelphia. Working with these children after they’ve already been sitting in school all day was not an easy task. Also, educators of that area at the time were not well-respected, so Diplo decided to move on and focus on his career producing music. One of Diplo’s largest successes within the music industry is his record label and music event series, Mad Decent. Recent artists with releases on the label include Yellow Claw, Herobust, Jauz, Jackal, 4B, Nghtmre, and more. Ultimately, what really gained Mad Decent mad attention was the outbreak of Baauer’s “Harlem Shake” in 2012. In 2008, the Mad Decent Block Party was initiated in Diplo’s home city, Philly. Diplo rounded up the homies, rented some speakers, and threw their neighborhood block party. It was open to all of the neighbors. Everyone was welcome to come party. The next year, things got a bit more serious. The crew hired security and rented out a proper venue. As the event continued to grow, the Mad Decent Block Party reached out to New York and Chicago the following year in 2010 and now tours throughout the entire United States every year, including Phoenix for the last three years running. Just when thought you got a grasp on how many doings Diplo has his hands in, let’s not forget to mention his association with movie development. In 2008, Diplo directed the film Favela On Blast, a documentary on the music of the poorest neighborhoods, known as Favelas, in Brazil. Diplo has also composed scores for films and even had a cameo in the recent movie 22 Jump Street. Needless to say, Diplo is one talented dude. He’s contributed to some of the greatest works of the 21st century. On top of his career producing electronic music as Diplo, Major Lazer, and Jack Ü, his record label, writing and producing for other musicians, and his music event series have landed him a spot as king, or as others like to put it, daddy.